"They’re like POWER from the Gods!!!" Lylius “Kapet” Joseph is a versatile, bi-lingual bass player and sample programmer from the English/ French island of St Lucia. He forged his unique playing style of which comprises heavily of a Gospel, R&B and Neo Soul feel, richly saturated with elements of Blues, Reggae and Soca. Going under his stage name “Kapet”, he is known for his work with many popular bands on the island. He has graced stages with the likes of Michael Robinson, Ricky-T, Derede Williams, Arthur Allain, Derek Yarde, Claudia Edwards, Ronald “Boo” Hinkson, Eric Donaldson and more. He began his musical career at the St Lucia School of Music at the age of 13, learning to read music and playing the trumpet and tuba. He picked up the bass guitar at the age of 16 in Church. Soon after, he got his first debut with a hotel band and has been making waves since. He went on to free-lance and perform with numerous professional bands for yearly events like St Lucia Carnival, St Lucia Jazz and Arts Festival, Calypso and Soca Monarch Title Competitions. During that time, he joined the Matrix Band with the likes of four-time Groovy Soca Monarch champion Arthur Allain and touring artist Benjamin “Benje” Alexander where he learned to play and sing simultaneously, and intermediate to advanced level sampling using the program Ableton Live. He formed his own band in 2015 called Overdrive where he was also the musical director, where they played at various hotels, private functions, weddings, mass crowd events and productions. He has picked up several skills along the way in the fields of sound engineering, mixing, as well as composing. Kapet is now the bass player and backing vocalist, for the band “Illusion”. 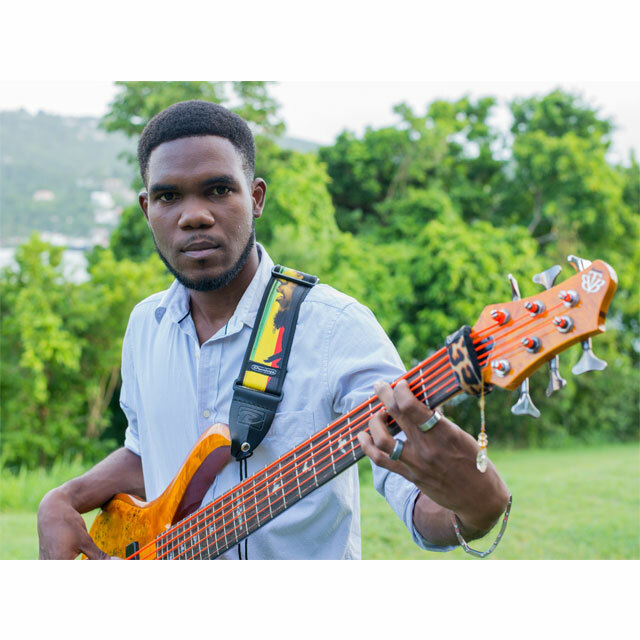 He also hosts classes and sessions at Musicman; a leading music store in St Lucia, where he is also their Bass Technician and tutor/ lecturer. When not onstage, Kapet can be found in the band room or studio perfecting his art, recording, or his hobby; repairing and modifying guitars and basses.